Well, I’ve been busy whittling my little heart out over here. 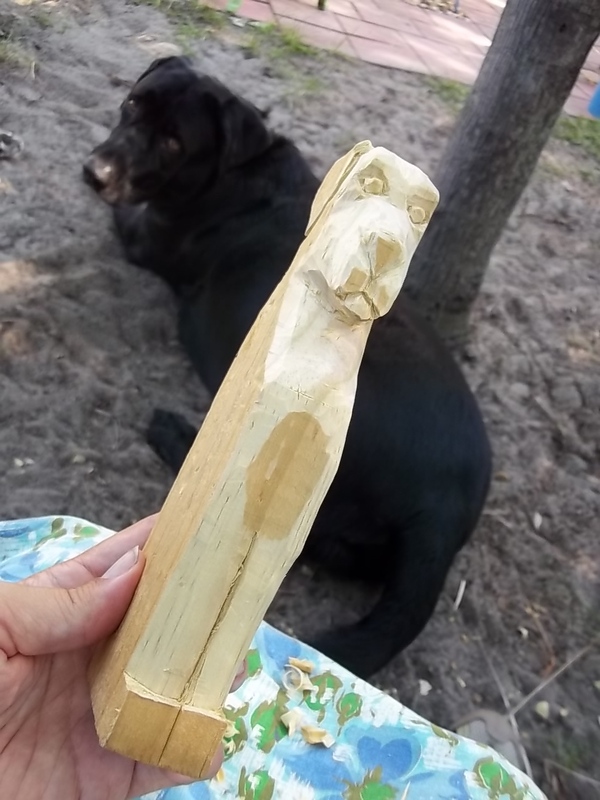 Really enjoying the wood carving class. Here are a bunch of things I’ve carved and painted – as you can probably see, for me, it’s all about the colour! Dropped my mother off at Tai Chi at the senior center this morning and went down the hall to the wood carving class. 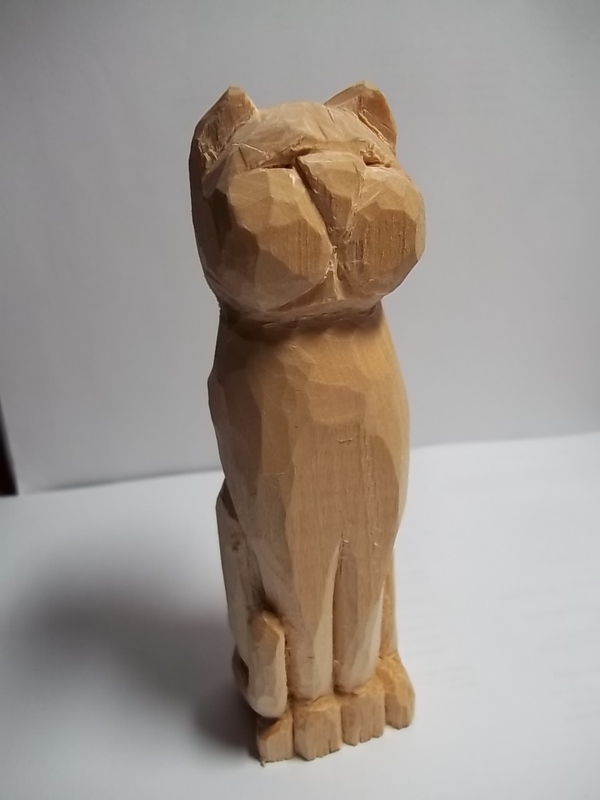 Whittled myself a kitty, I did! Didn’t cut myself once, either! Today I subbed at the high school for art class, one of my faves because I like to get to do the project of the day. The upper classes were making block prints by carving into wood or a thick slab of linoleum, rolling the stamp with paint, then stamping their designs. I wanted in on the action, so I grabbed a thin piece of balsam from the box, drew my design, then chiselled away at it to make my wood stamp. I was so pleased with it, I brought it home and framed it! Oh, yeah – I’m going to find another use for my flamingo stamp. I like it as-is with the paint on the wood. Too big to use as necklace, though.